Hey guys, Captain Ross Robertson here with FishUSA. I'll tell you what, crankbaits are part of fishing, whether you’re salmon, walleye or even maybe panfishing sometimes. The number one thing I see guys do that come in my boat, is they don’t fish a tuned crankbait. 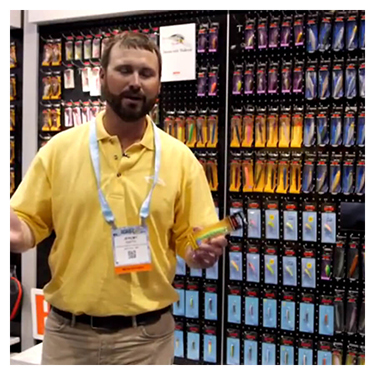 You can choose the right color and the exact right crankbait, but if you don’t have it tuned properly, it is no good. Reef Runners are a bait that hunt. They have this sort of curved tail, making it jerk around, then out to the side and then comes back in. That's the trigger, which is a good thing. If it's not tuned, you're going to have those things riding in and you're not going to get the maximum depth out of them (not knowing where your bait are at). 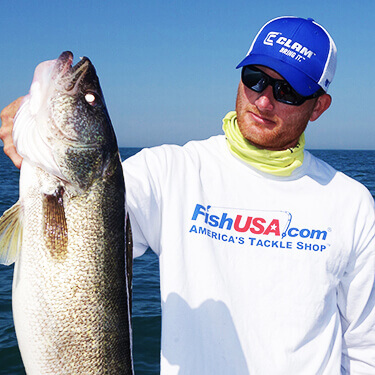 An even bigger problem is that you are going to tangle your lines and not catch fish. When a lure is running here and it kicks out to the side, what you did in the past is put a pair of pliers on to the actual eye itself, not the split ring, not the whole deal, just the actual eye. And if the crankbait is running this way (right), what you want to do is take the eye and bend slightly this way (left). Reef Runner's tuning tool makes your life a whole lot easier, trust me. For a few bucks, this is going to make your life a lot easier. The key is to put the tool right on top of the eye. You don't want to twist it sideways so it looks like a pretzel. You want to make sure you get directly on top of it and make a minor adjustment. When I say minor adjustment, you really want to do this so if you know that you can see or feel that you bent it, you bent it too far. You are better off doing it once, twice, maybe even three times, incrementally, than doing it one big time. It’s a little, light wire eye and you don’t want to break it. 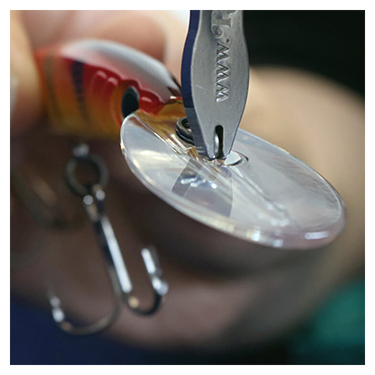 Just a tiny tweak is generally all these baits need. You will be amazed at how a small movement effects it. So, next time you head out with crankbaits, make sure you have your tuning tool and make sure those lures are tuned in. It will be a lot easier! 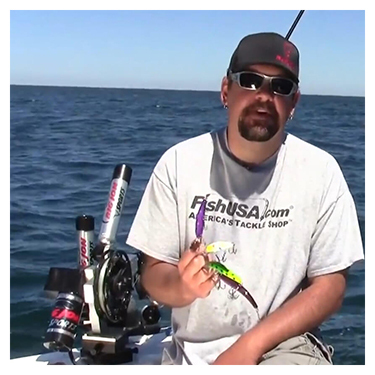 The Reef Runner Tune-A-Fish Crankbait Tuner is the perfect tool for tuning baits so they run true again. 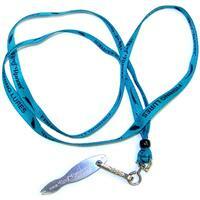 The Tune-A-Fish features a chrome plated, solid stainless steel construction and includes a Reef Runner logo lanyard. The tool has a slot on each end designed to bend tie-on points and hook attachment points on a wide range of hard bait sizes.